I have to admit that this week completely escaped me. I was super productive on a number of products and in real life and I managed to take lots of pictures to blog but struggled to find the time to write posts to go alongside the pictures. So over the weekend I’ll be taking the time to post some pictures and posts on the amazing items that are out there and available across the grid. In addition to the regular events there are a few quarterly and annual events taking place at the moment that are well worth a visit. The big one everyone is talking about is Salem from Prism Events. Organised by the same team that brought us the amazing Tannenbaum Holiday market last year Salem has not disappointed with a stall after stall…or should I say gallow after gallow of knock out creepy and autumnal goodies up for grabs. 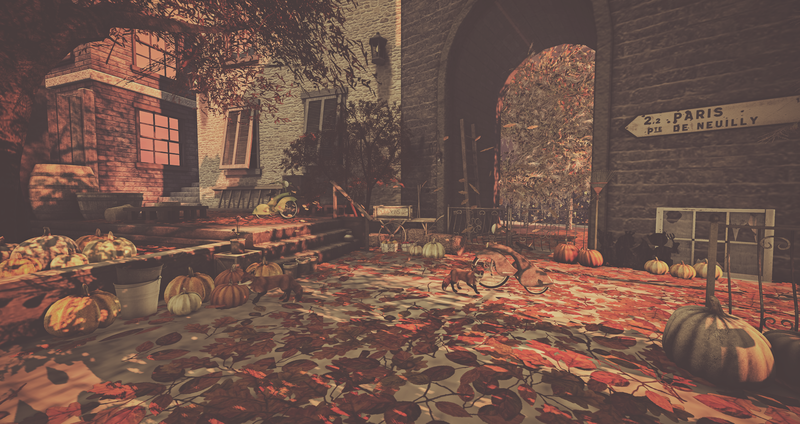 I may be a little bias but FaMESHed is also a knockout this round with some truly epic Fall decor and a few foxy friends to add to the picture too. I still have a few events on my list that I want to get over to so keep your eyes peeled for more Autumn, Fall and Halloween posts to come soon!